This ragu recipe is honestly my entire childhood on a plate. It is a treasured family recipe that I have always praised, and have at long last managed to persuade my step-father to allow me to share. I know that everyone think’s their mum’s or family’s Bolognese is the best that there is out there, but I challenge you to the title; if you make this recipe and still believe that yours is better, I will happily meet with you for a “ragu-off” and bow down to you if you win me over. That is how much I believe in the power of this recipe! Plus, my friends have always vouched for it too. The secret ingredients of The World’s Best Bolognese are the white wine & full-fat milk (which, by the way, almost entirely evaporate so you don’t need to be concerned about your alcohol or calorie intake! ), and the key is to cook it slowly over a low heat for many hours. The result? A rich, creamy, silky smooth ragu that you could eat all on it’s own until there is room for no more. Every time I make this recipe I make a huge amount so that I can freeze it for a quick, unbelievably delicious dinner whenever I fancy it but, to be totally honest, I usually only end up freezing 1 or 2 portions as I can’t resist slipping another spoonful every chance I get. I know it might be hard to believe that this recipe could get any better, but it is also incredibly fast and easy to prep… you just need time on your side to allow it to bubble away for a few hours & give the occasional stir (and taste test!). 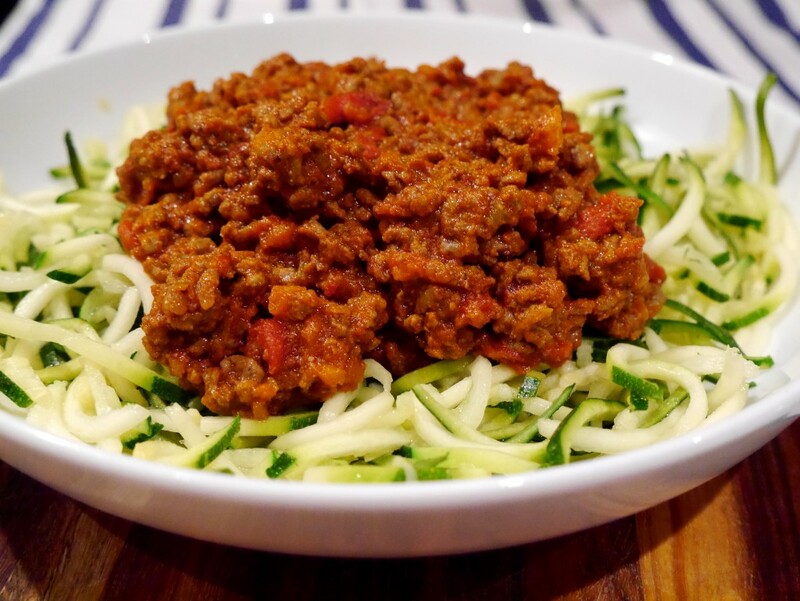 You can serve it with spaghetti (The World’s Best Spaghetti Bolognese) to achieve a true classic that both you and your lucky diners will rave about until the end of time, or courgetti for a super healthy carb-alternative. Both bases are equally delicious and it really depends on your mood and whether you fancy something lighter or heavier, as nothing can retract from the flavour of the ragu! Bon appétit! 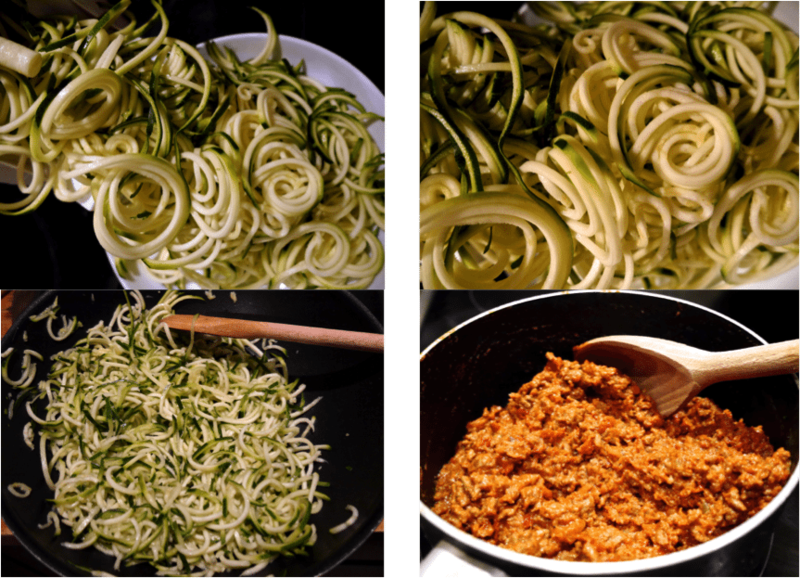 Using a spiralizer, make courgetti. 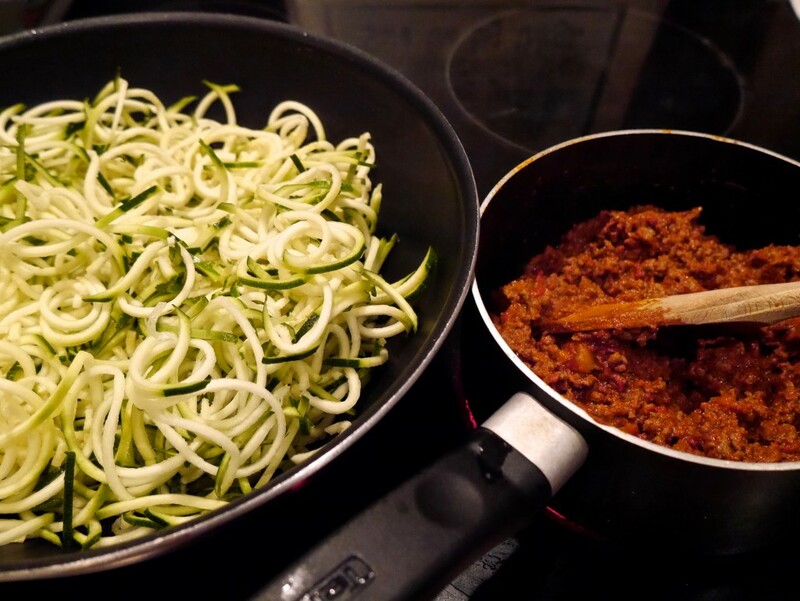 If you wish to heat & soften the courgetti, place a frying pan over a medium heat & add 1 tbsp olive oil. Gently stir & toss the courgetti, careful not to break the courgetti, for a few minutes. 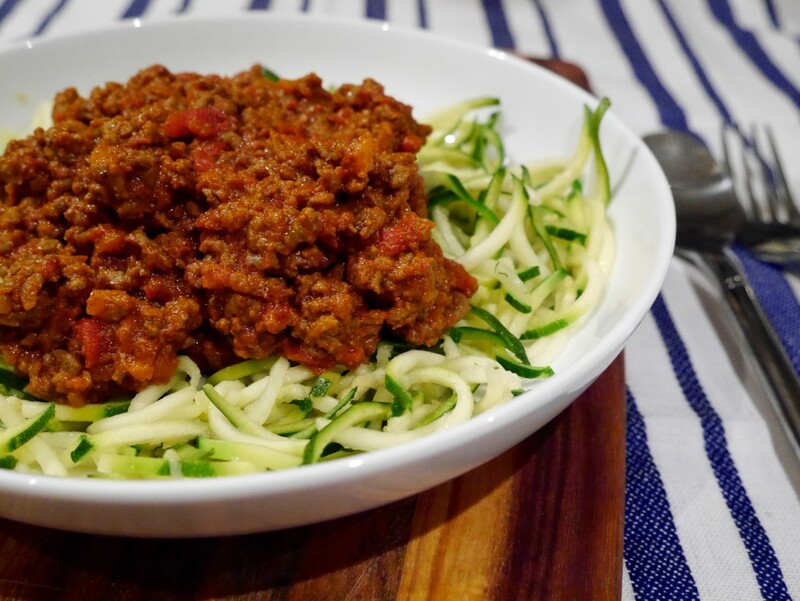 Taste the courgetti to check it has softened to your personal taste and, once it has, turn off the heat for both the courgetti and ragu & plate up.